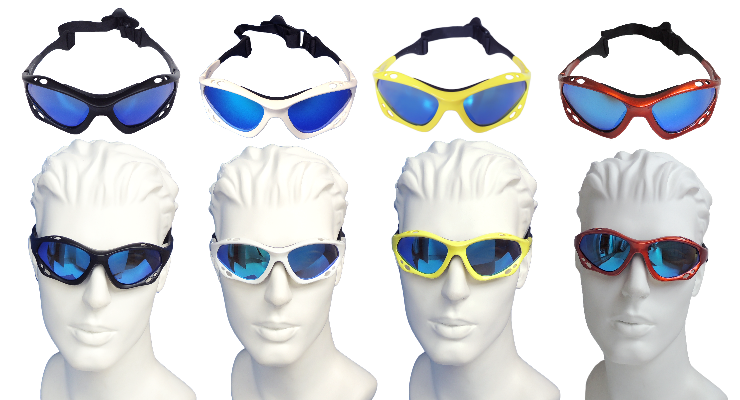 Our sunglasses is special designed for water sports, such as kiteboarding, Windsurfing, Surfing, kayaking, wakeboarding, Jet skiing, Snowboarding, SUP, other extreme sports and fishing. 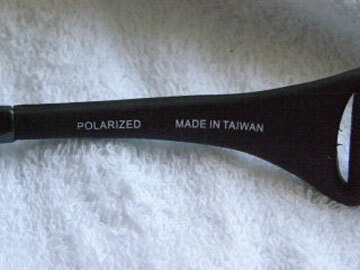 Our sunglasses are made in Taiwan to ensure quality and your satisfaction. 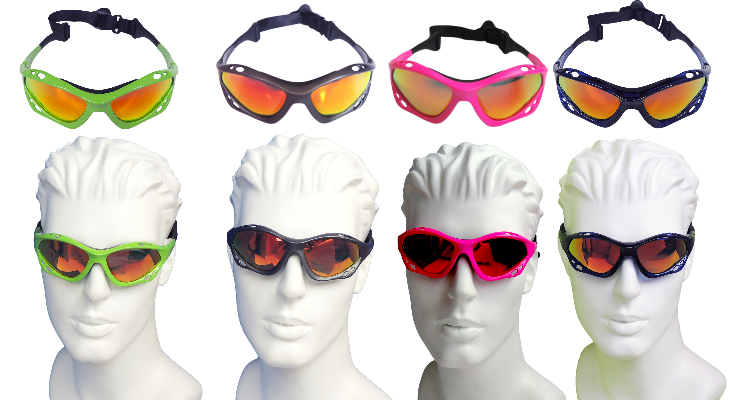 We have over 100 color that you can choose to produce your sunglasses. We can set the mirror coating red, blue color lens on your sunglasses. 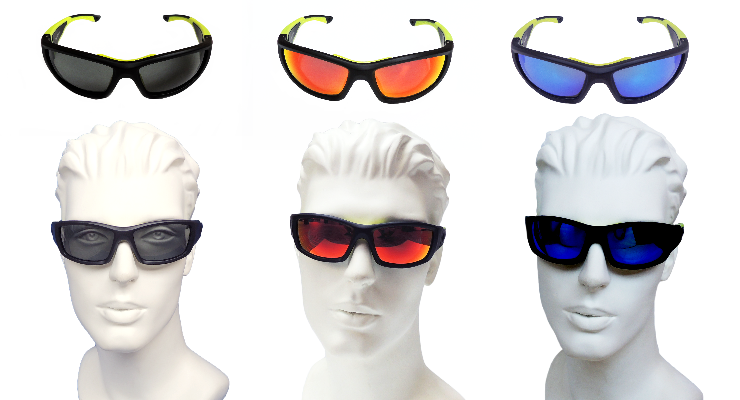 We use impact resistant and scratch resistant 1mm Polycarbonate grey lens with this sunglasses. The Grey color lenses are best suited for sunny conditions. They are also good for driving or general use when true color perception is important. 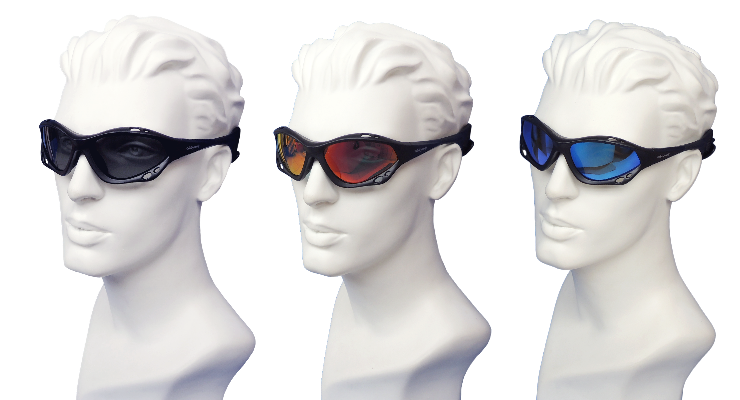 UV400 Rated lens： This optically correct lenses provide UV400 protection from harmful rays. 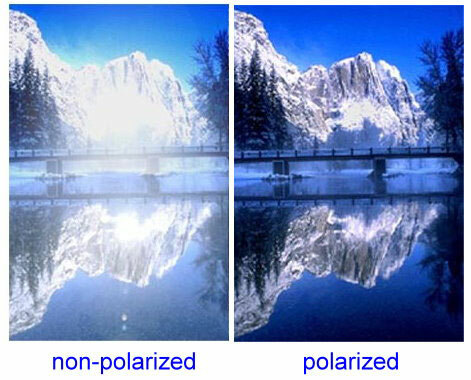 Polarized lens： Polarized lenses are used in sunglasses to reduce glare from reflective surfaces such as the surface of water or the hood of a car. They accomplish this feat through a process called polarization, much like a venetian blind controls sunlight through a window. Sunlight itself is not polarized - light from the sun will either be absorbed or reflected horizontally, diagonally or vertically. The problem this causes for fishermen and drivers lies in the horizontal reflectivity. Sunlight bouncing off a horizontal surface will strike the viewer's eyes at a similar angle. This means the glare from the surface of the water or the road or the car hood will be strong. Polarized lenses have a laminated surface containing vertical stripes. These stripes only allow vertically-polarized light to enter the wearer's eyes. 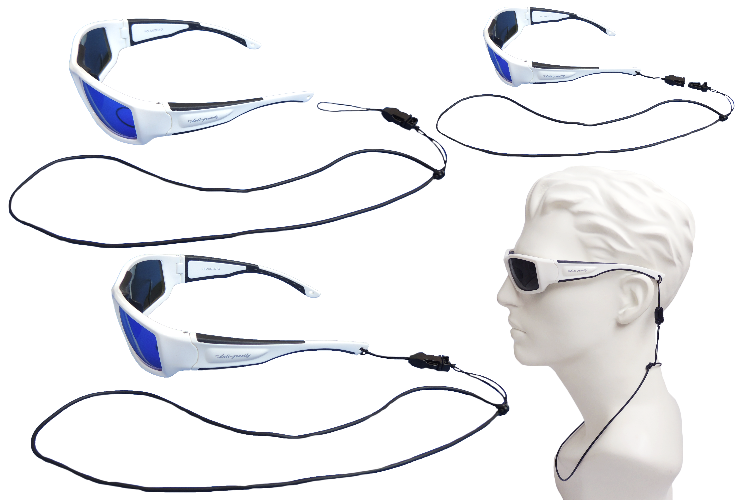 Glare is eliminated because the horizontally-polarized light waves cannot bypass the polarized filter. For years, polarized sunglasses have been used by boaters, fisherman and driver to reduce glare from the water. A Fishermen wearing polarized sunglasses can see below the surface of the water to search for schools of fish or hidden obstacles. Drivers are no longer affected by a constant reflection of light from their hoods or the road ahead. 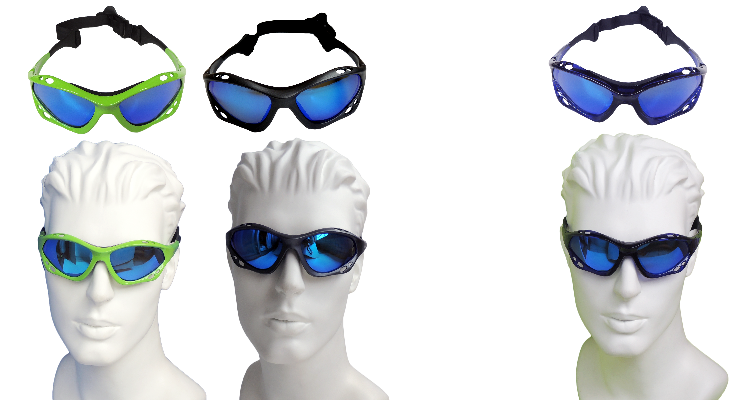 In recent years, the benefits of polarized sunglasses have been realized by a variety of other outdoor sports enthusiasts as well as by drivers and general use wearers. We also use the polarized lenses in our sunglasses to provide you the perfect vision when you are taking a water sport or driving. We mirror coating our polarized lens to create a highly reflective sheen on the outside of the lens. Our mirror coating lens are not only reflecting the light and heat of the sun to protect the eyes, they also improve the visual contrast and clarity. 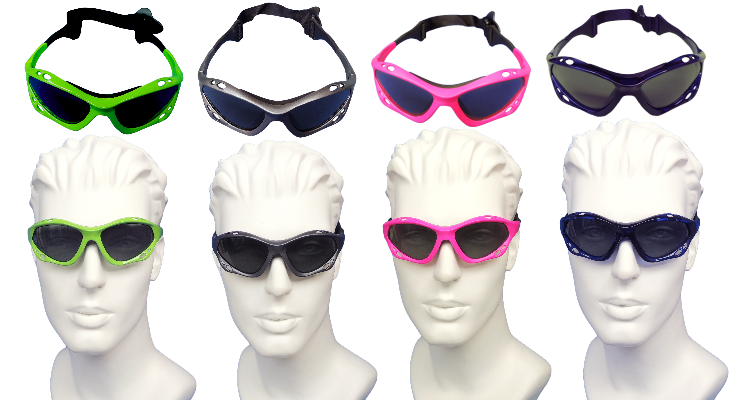 The full wrap around frame： It provides complete coverage for your eyes to keep out the sunlight and spray during extreme conditions. We can print your logo on the frames. TR90 Frame:TR-90 is a superior compound which has no risk of toxicity or allergy. It is extremely light weight and designed to flex making it resistant to stress cracking and material fatigue. It is free of plasticizers and extremely stable to UVA exposure in all types of temperature and humidity conditions. Strong resistance to chemical products such as solvents, alcohol, cosmetics and organic acids gives TR-90 maximum durability in outdoor environments. 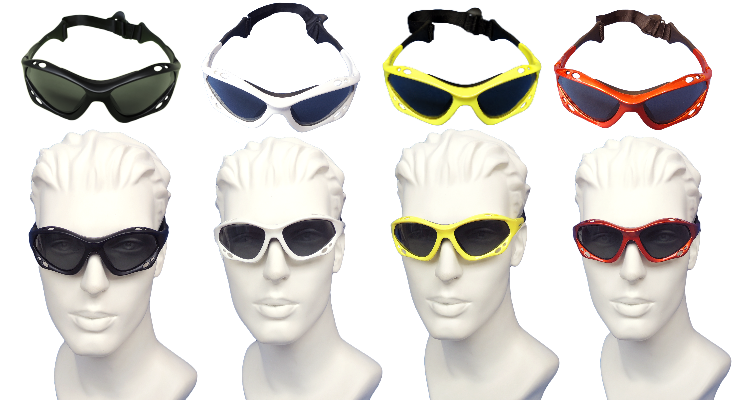 The nose are padded with soft material: It is not only protecting the wear’s face when his sunglasses be impacted, but also gives extra comfort for long time wear. Our sunglasses incorporates an adjustable non-removable strap that is comfortable, secure and easily adjustable with one hand. 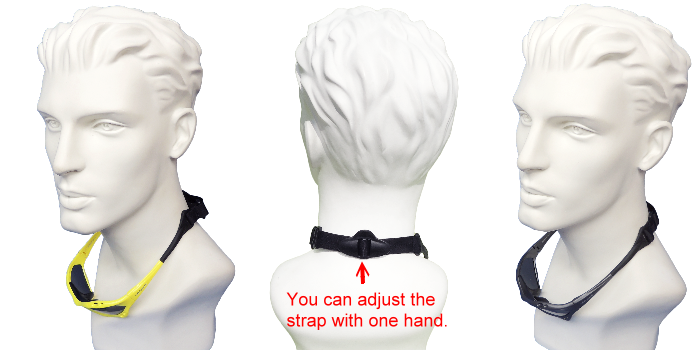 Due to the special material be used in nose and the knot of the adjustable non-removable strap. Our sunglasses can FLOAT, if you drop them in the water. 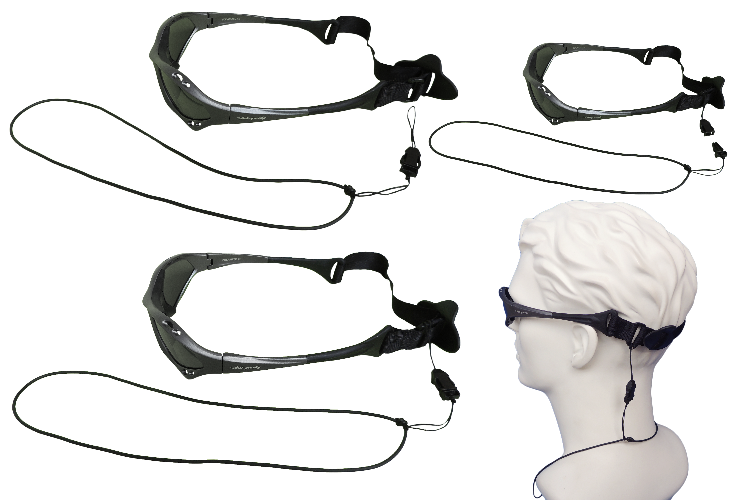 We provide a leash for avoiding your customers to lose his sunglasses: Your customer can use this leash to connect with his neck or his life jacket to avoid to lose his sunglasses when they are taking water sports. The leash will broken when the power to pull the leash is over 10 kg. 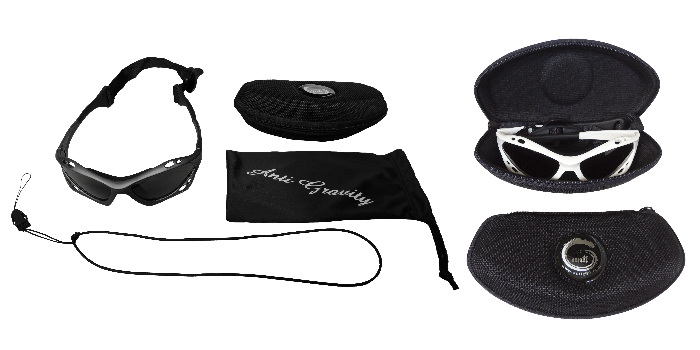 Each pair of our sunglasses comes inside a micro-fiber Pouch, a leash for avoiding lose sunglasses. You also can order the zip boxes printed your logo on them to protect the sunglasses and increase the valve of your products. The yellow lens effectively blocks much of the troublesome blue light, thereby enhancing contrast, depth perception and making your environment appear brighter. 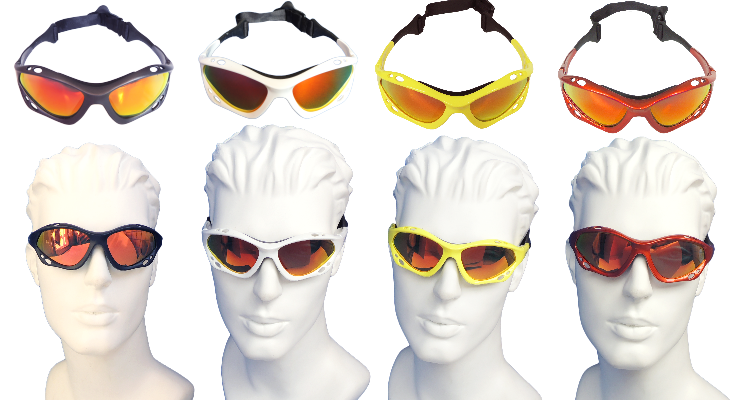 The clear lens can protect your eyes from wind, water, insect, dust when you engage the extreme sports in night time. Our Yellow and Clear lenses meet the safety requirements of ANSI , ASTM international CE for Testing and Materials and Marking. Our sunglasses can FLOAT, if you drop them in the water. 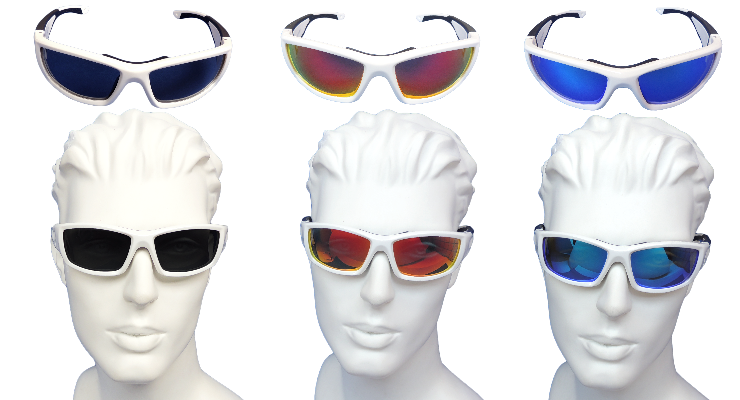 Our prescription sunglasses are also Floating, Polarized and providing UV400 protection. The Lens’ color you can choose are Grey color or mirrored treatment Red or Blue color. Regarding the color of the prescription sunglasses' lens, please see bellow for reference.